We know that some cats are prone to hairballs and that's why we've create a formula with natural fibres to minimize the formation of hairballs and dietary fibre to support digestive health. 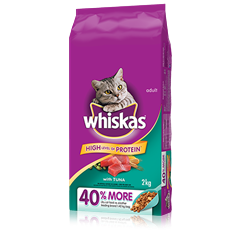 100% Complete and Balanced with the great taste of delicious real chicken - it is everything your adult cat needs! 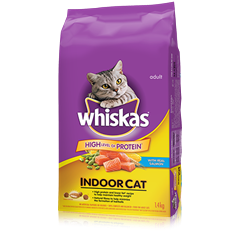 Available in 1.5kg and 3kg bags. 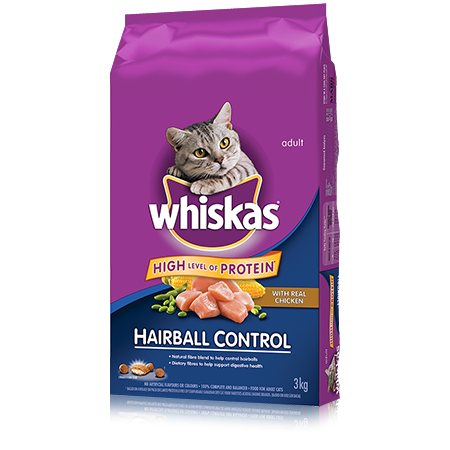 WHISKAS ® Hairball Control with Chicken is rated 4.3 out of 5 by 72. 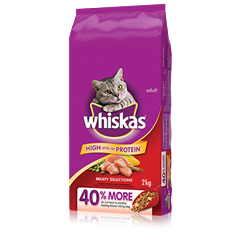 WHISKAS® Hairball Control with Chicken is formulated to meet the nutritional levels established by the AAFCO Cat Food Nutrient Profiles for adult maintenance.